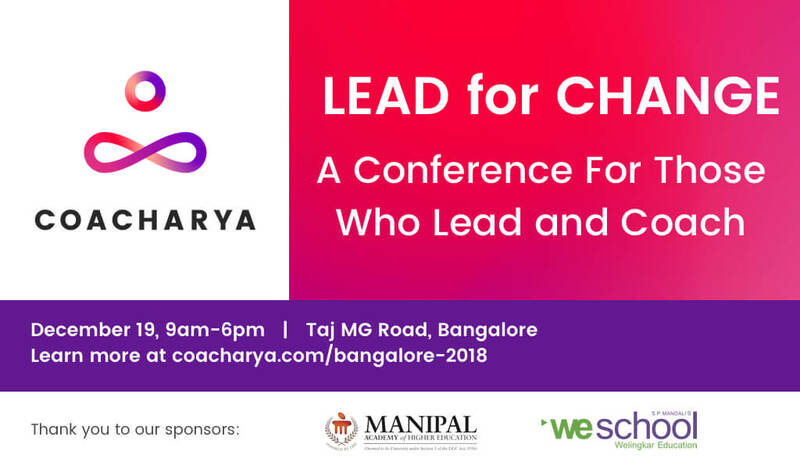 Our leadership conference in Bangalore is fast approaching. If you haven’t booked your ticket, please do so ASAP or you’ll miss out. Buy your ticket here. Today, we’re excited to confirm our conference agenda. Attendees will earn 8 CCEUs towards their coaching credential renewal. Please take a look at the schedule below. You can see our full speaker list on the conference page. Please invite your friends and colleagues who may find our leadership conference interesting. Thank you for your support! We look forward to seeing you on December 19 in Bangalore. Magda Walczak is CEO of Coacharya and looks after strategy, technology, marketing, and customer experience. She's also the author of Saylor's tale, a children's book.